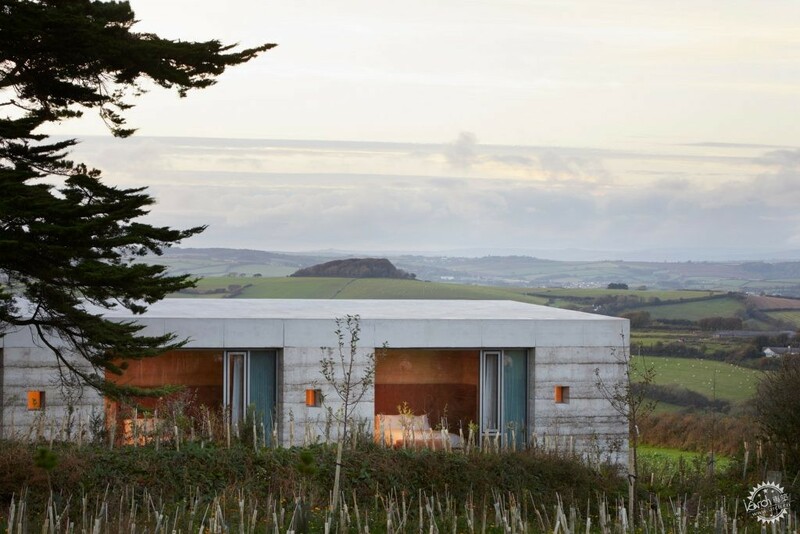 Peter Zumthor completes Devon countryside villa "in the tradition of Andrea Palladio"
Swiss architect Peter Zumthor has completed his Secular Retreat – a Living Architecture holiday home designed to celebrate the landscape like the villas of his hero, Andrea Palladio. 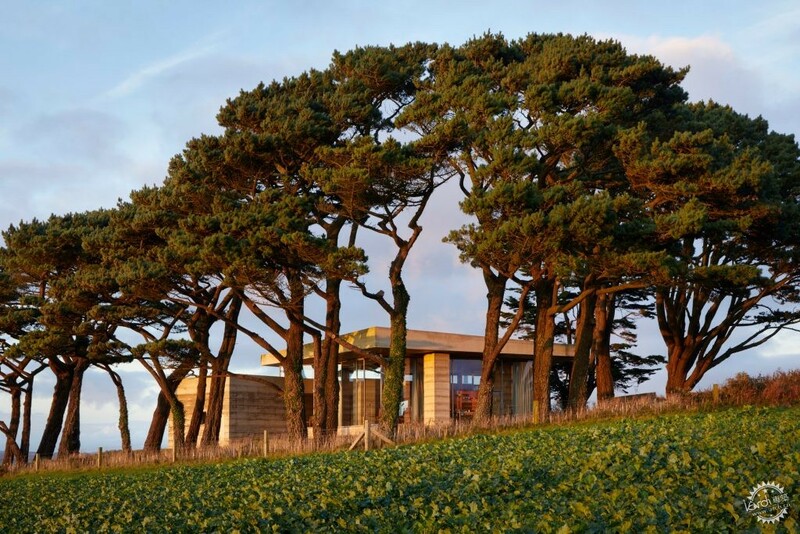 The house, which has been more than 10 years in the making, is Zumthor's first permanent building in the UK. 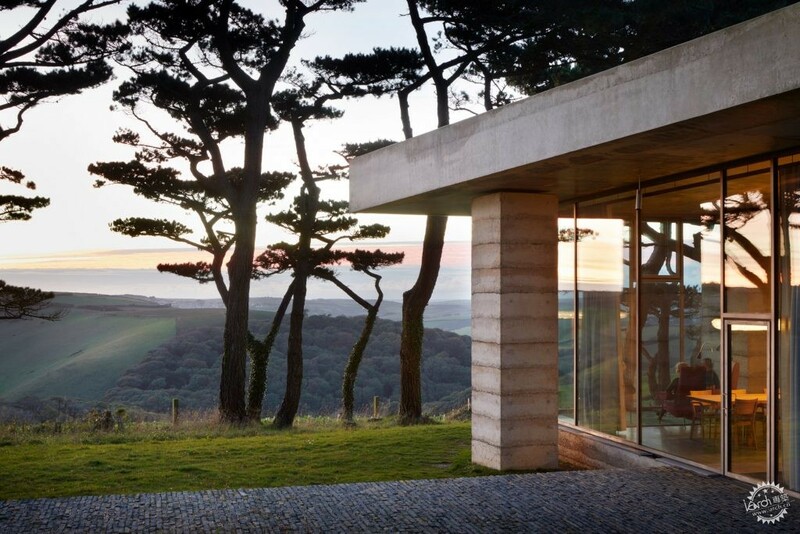 It is located on a hilltop in South Devon, England, where it commands an impressive view of the surrounding countryside. 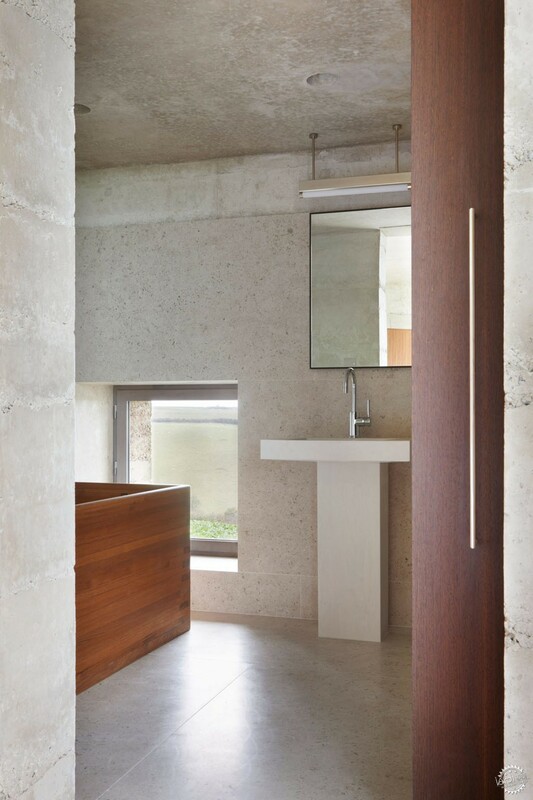 Zumthor designed the house to be built from concrete rammed by hand – a technique that gives stripes to the walls, both inside and out. The thickness of this material is revealed by the large, deep window openings, designed to take full advantage of the setting. "I would like to say I'm building here in the tradition of Andreo Palladio," said Zumthor during a tour of the building. "I don't want to compare myself with this Renaissance architect, who has always been a favourite of mine, but what he did was build villas for the summertime." Zumthor said his aim was to emulate "the incredible presence of materials, and the beautiful command of space, light and shadow" of Palladio's designs. "I think it is beautiful if you can make a strong building that helps you, not which oppresses you," he said. 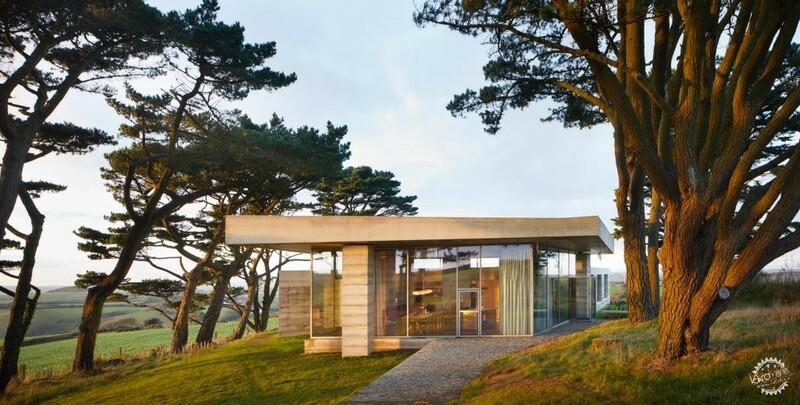 Secular Retreat is the seventh house built for Living Architecture, a property rental company set up by writer Alain de Botton to offer people the opportunity to rent a house designed by a renowned architect. It was actually one of the first to be commissioned. 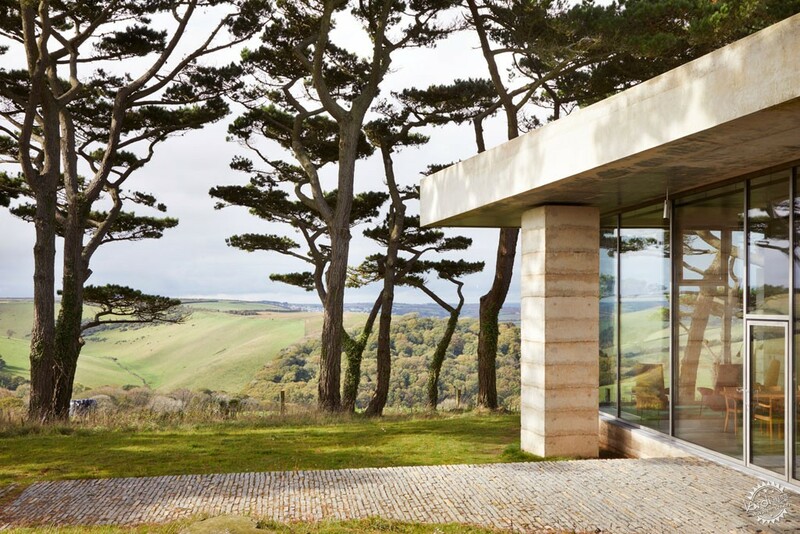 But it took far longer to be completed than any of the others, which include MVRDV's Balancing Barn, John Pawson's Life Houseand A House for Essex by FAT and Grayson Perry. One reason for the long delay is the level of detail and craftsmanship that went into the building. 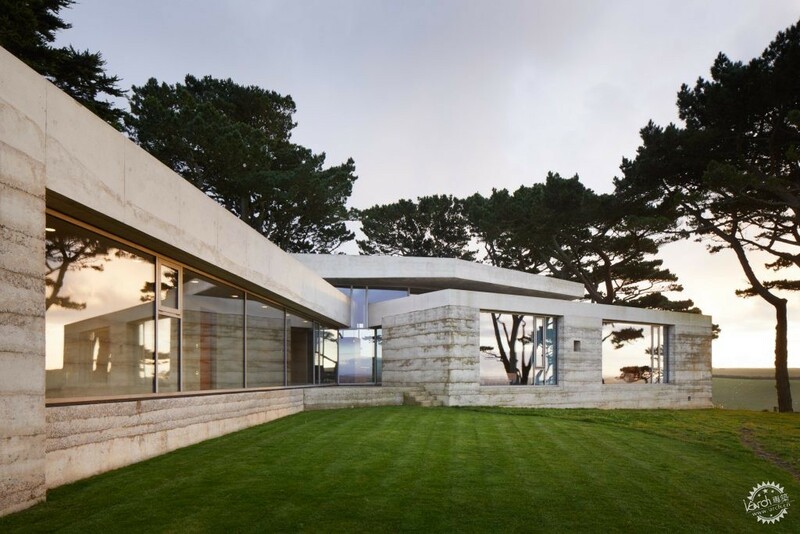 The rammed concrete walls had to be created in layers – each line marks a day's work – while the limestone floors were designed in a bespoke pattern, tailored exactly to suit the dimensions of every slab that came from the quarry. Every broken slab resulted in a rework. "I have this concept – I produce originals," Zumthor told Dezeen. "My work is always my work, it is not the work of my collaborators. I am not a trademark, I always produce an original." The layout of the house is very simple, all organised on one storey. There are two wings – one containing two bedrooms, the other containing three – and each bedroom has its own en-suite bathroom. Where the two wings meet is a generous living space, including a bespoke kitchen, a lounge area surrounding a fireplace, plus a couple of quiet seating areas where occupants can enjoy solitary activities like reading or listening to music. 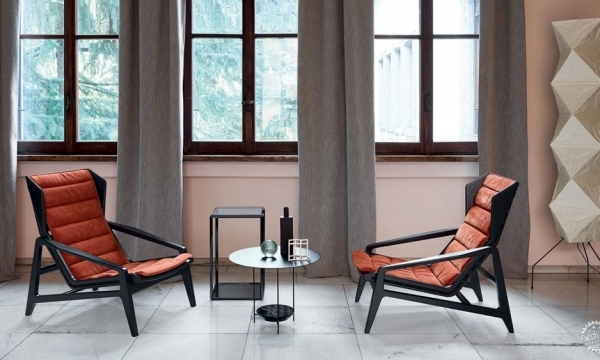 Almost all of the furniture was designed by Zumthor, including the wooden dining table, seating upholstered in purple fabric and camel-hued leather, and the small pink stools in the bedrooms. Overhead, the concrete roof sits appears to hover just above the concrete columns, raised by a concealed steel structure within. 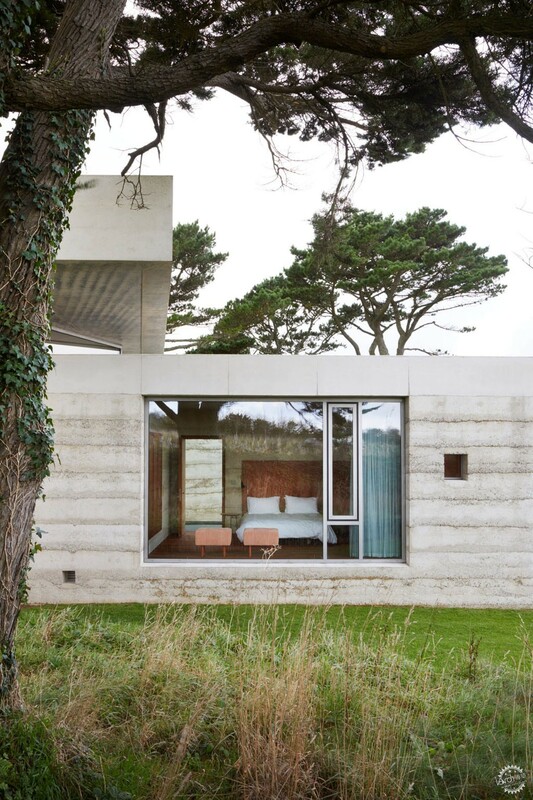 Its surface is coloured by the wooden formwork that the concrete was cast against – an effect that Zumthor said he hated initially, but has grown to love. "You have a central communal space under a big roof, and you have five bedrooms each with their own bath," said the architect. "So in the back it is like a hotel, and here it's all together, you cook, you do everything together." 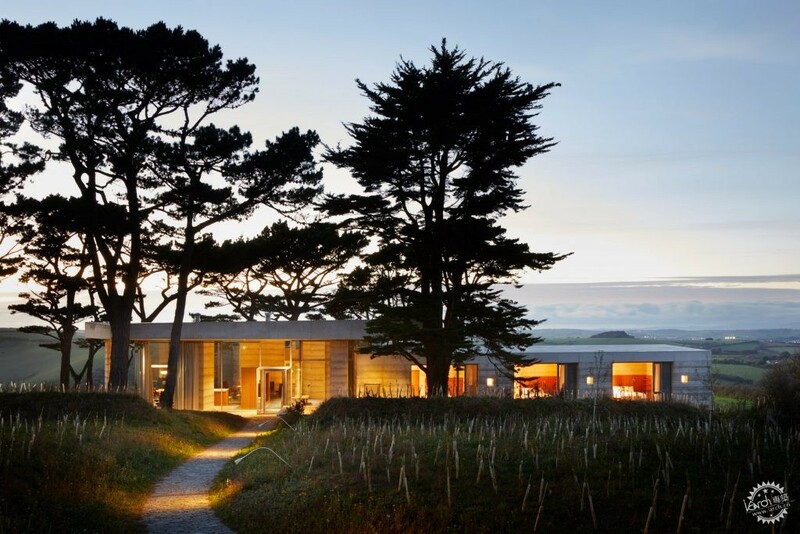 Zumthor famously keeps his studio small and turns down many commissions offered to him. 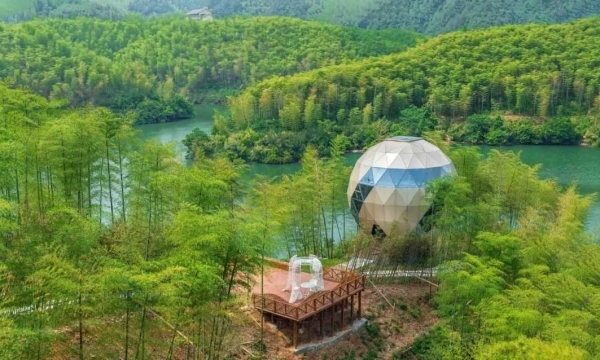 He rarely builds single houses – most of his previous projects are public buildings, such as the Therme Vals spa in Switzerland, the Zinc Mine Museum in Norway and the Brother Klaus Field Chapel in Germany. He said he couldn't resist this opportunity to build on this site. "It's easy to build a nice house here," he said. The building sits on the site of a demolished house from the 1940s. A few details from the old property remain – a hexagonal patio beyond the kitchen, and a set of Monterey pine trees that are now 20 metres tall. But Zumthor claims his house will age much better than its predecessor: "This building frames view and celebrates the place, the old building did not." The house will be available for short-term lets later this year. The architect is also hoping to convince Living Architecture to change the name, from Secular Retreat to Chivelstone House. "I would prefer it!" he said.